Tactical possession. Attacking wide areas. Play through the lines for runners. 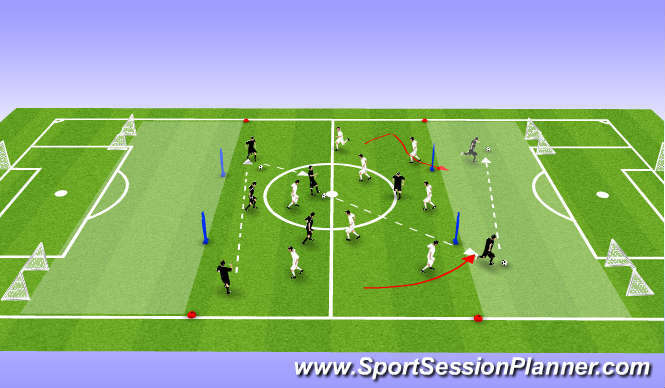 Score by having free space to allow strikers to score.